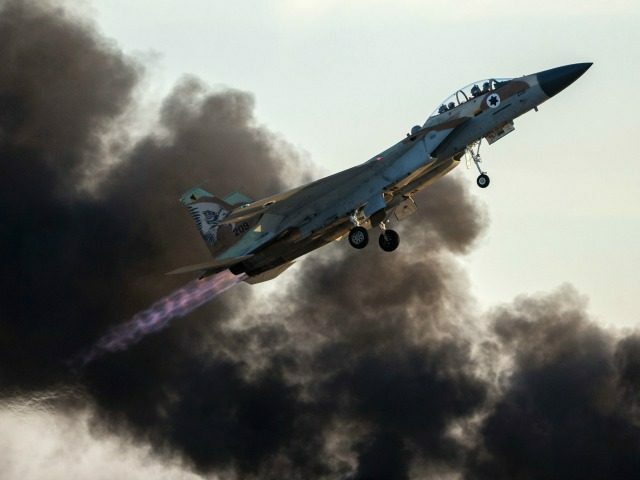 JERUSALEM (AFP) – Israeli fighter jets targeted a Hamas “military target” in northern Gaza on Monday in response to Palestinians infiltrating the border and laying bombs the previous day, the army said. Palestinian security sources in Gaza said the Israeli strikes hit a base in Jabalia belonging to Ezzedine al-Qassam Brigades, Hamas’s armed wing, and farmland near Beit Lahia, causing damage but no injuries. The Israeli strike came a day after suspects crossed the northern Gaza border fence, leaving “explosive devices” that were found by the army. The border fence between the Palestinian enclave and Israel has become the backdrop of mass Gaza demonstrations that lead to deadly clashes. Israel says it opens fire when necessary to stop damage to the border fence, infiltrations and attempted attacks. It alleges Hamas, the Islamist movement that runs the Gaza Strip and with whom it has fought three wars since 2008, is seeking to use the protests as cover to carry out violence. “The IDF (Israeli Defence Forces) views with great severity the Hamas terror organisation endeavours to turn the security fence parameter into a combat zone while attempting to damage security and defence infrastructure,” the army said in its Monday statement.